I hadn’t read anything by Abe before and was excited to get started. The idea behind this story was interesting, and looking past a few of the minor issues I had with it, it was just what I had hoped it would be. The mythological creature this book is based on is different and one I had not read about. I wish there had been a bit more about the World War I setting, but based on the book description for the next book, I’ll be able to get my history fix there. My only other complaint is I wish there had been a bit more concerning the history of the supernatural. A little more explanation would have been nice. For a time when women weren’t considered womanly if they had convictions and strength, Lora is strong. She maintains the politeness required of her, but she finds other ways to show her strength. She doesn’t back down when she’s threatened, she doesn’t fall back on her “station” and cower. She stands strong in the ways she is able and doesn’t back down. While my heart broke at the end, I wasn’t as into the love story as I wish I was. Jesse was sweet and kind, but I would have liked a little more depth to him. Armand has a little bit more to him, but I found his hot and cold with Lora to be a little too frustrating. 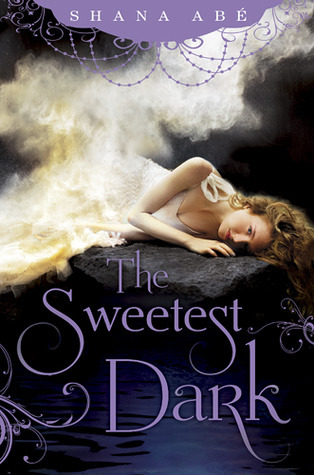 The Sweetest Dark manages to be something new in a sea of sameness. The level of detail is fantastic and the picture Abe can paint with her words is glorious. It does have a few shortcomings, but it is still worth a read. The historical setting makes for a unique and wonderful backdrop for this supernatural story. Thank you to Bantam and NetGalley for the advanced copy of the novel in exchange for a honest review. This entry was posted in Historical Fiction, Something a Little Different, Young (and New) Adult and tagged Fantasy, Historical Fiction, Paranormal, Shana Abe, Supernatural.